For most of human history, we effortlessly consumed (nose-to-tail) the things we needed for health and happiness. Like the fertile ground that we once walked upon, we were a natural extension of this earth. In the modern world, we unknowingly struggle to fulfill our nutritional needs in order to support and sustain a vibrant, disease-free life. Our mission is to offer the highest quality line of whole-food supplements with the purpose of putting back in, what the modern world has left out. FDA STATEMENT: These statements have not been evaluated by the Food and Drug Administration. This product is not intended to diagnose, treat, cure, or prevent any disease. If you're going to pick just one supplement to start with, start with our GRASSFED BEEF LIVER unless you need targeted support with another organ system. 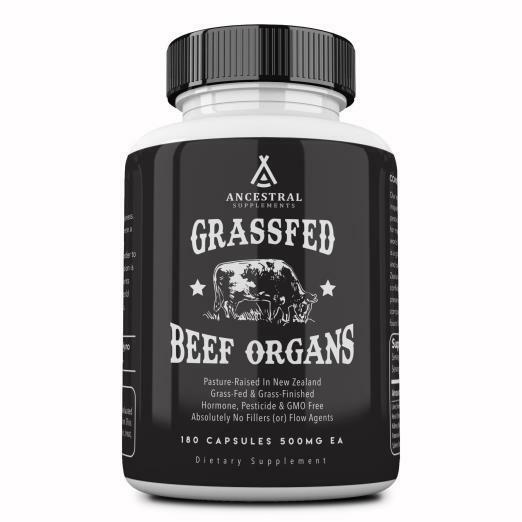 If you are going to pick two supplements, our GRASSFED BEEF LIVER and GRASSFED BEEF ORGANS provide complementary and synergistic benefits.